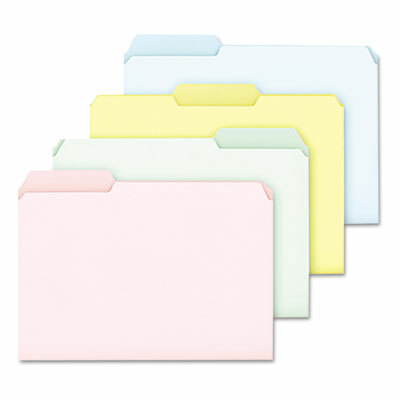 Pastel color file folders add a soothing touch to busy offices. Fresh colors update and expand color-coded filing systems. 11 pt. stock.